Recovery period not yet known for supercross specialist. 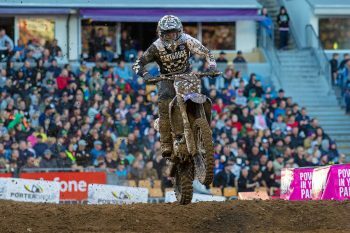 Three-time Australian supercross champion Dan Reardon has declared he’ll undergo surgery this Thursday to repair a ruptured achilles tendon sustained on Saturday night at the Monster Energy S-X Open Auckland. 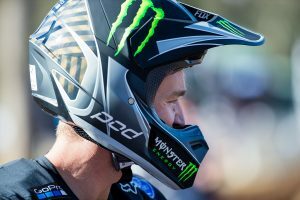 Reardon, who was positioned second in the Monster Energy S-X Open Supercross FIM Oceania Championship ahead of the weekend, struck a tough-block prior to completing his Superpole lap, forcing him to come up severely short on the finish line double, ultimately resulting in the injury. 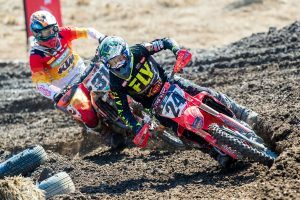 “Saturday night at the S-X Open in Superpole, I clipped a tough block, it got hung up on my rear brake pedal and forced me to come short,” Reardon explained in a statement. It’s a significant blow for the Yamaha pilot, who races supercross-only and is currently in negotiations to race overseas at the beginning of next year. Depending on the severity, a ruptured achilles tendon could see a rider sidelined for a six-month period. Reardon’s recovery time is not yet known.